Woman in Myanmar Making Thread. 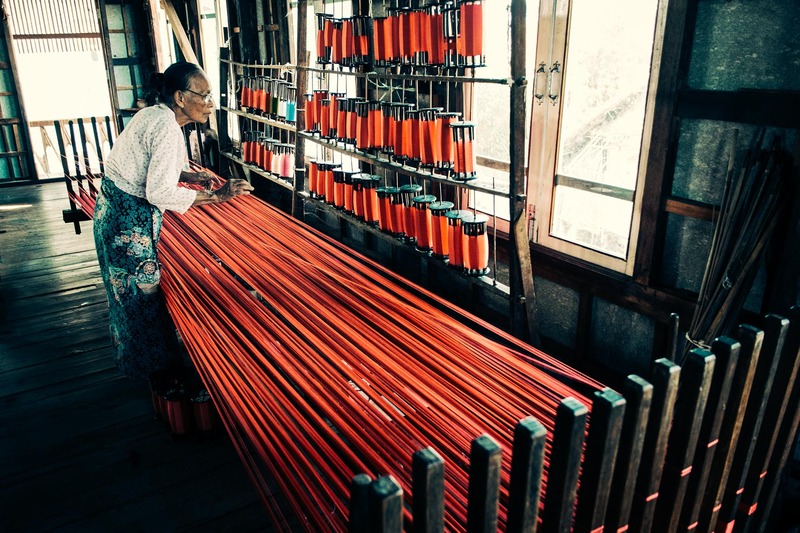 Beautiful Vibrant Colored Thread in Myanmar. An Old Woman Makes Thread in Remote Village in Myanmar.